Will Your Small Business Owe GILTI Tax? 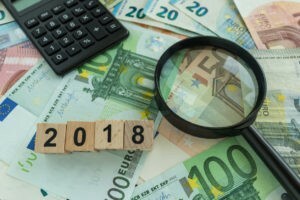 A prediction for the coming tax season: GILTI taxes will blindside some small business owners operating internationally. Many small business owners with foreign corporations have grown accustomed to not paying tax on the corporation’s earnings until the corporation pays them a dividend. But because of the new tax reform bill, for many small businesses those old rules no longer apply. GILTI stands for “global intangible low-taxed income.” However, the GILTI tax doesn’t just hit taxpayers, investors, and small businesses operating in jurisdictions that lightly tax income. Rather, the GILTI tax tags U.S. shareholders who own just about any controlled foreign corporation (or “CFC”) that doesn’t have much in the way of fixed assets. GILTI forces people who own more than ten percent of a foreign corporation to pay US taxes on their proportional share of the corporation’s profit, even if the corporation doesn’t distribute that profit to the shareholders. Note: If you or your small business paid (or should have paid) the Section 965 transition tax on a foreign investment, you likely owe GILTI tax starting in 2018. For most individual and small business taxpayers, here are the new GILTI rules in a nutshell: U.S. taxpayers need to recognize any income earned inside a foreign corporation that exceeds 10% of the foreign corporation’s fixed assets. C corporation taxpayers get a special, lower tax rate on this income. But individual small business owners won’t get a special tax rate. Instead, they’ll just add this income to all the other income they’re paying taxes on, and then calculate income tax on GILTI just like it’s Subpart F income. In addition, unlike C corporation taxpayers, individual taxpayers won’t get to claim what’s called an “indirect foreign tax credit” on GILTI. This also applies to individuals who own their foreign corporation through a past-through entity, such as a partnership or S corporation. Example: Let’s say an individual small business owner owns 100% of a U.K. corporation with no fixed assets. This corporation earns $100,000 in 2018, none of which is Subpart F income. It pays no dividends to its owners. Before tax reform, the business owner didn’t have to worry about paying U.S. income taxes on the $100,000. But post-tax reform, the business owner will need to include the $100,000 on their 2018 1040 and pay tax on it. And this individual won’t even get to claim a foreign tax credit for any income taxes the corporation paid to the U.K. on this income. Some individuals and small businesses do, however, have a way to avoid GILTI. They can elect to treat their foreign business as a partnership or disregarded entity. This, of course, means that the taxpayer will recognize taxable income inside the foreign entity as it’s earned. And this may be a disappointment for some. But remember that the GILTI rules mean the IRS now taxes that income currently anyway. However, note that pass-through or disregarded entity status means the foreign income taxes probably work as a foreign tax credit. By default, U.S. tax law usually treats foreign entities that limit the liability of their owners as C corporations. However, some foreign limited liability entities may elect to be treated as partnerships or disregarded entities. And a taxpayer isn’t stuck with the tax treatment they chose when the foreign entity was formed. A taxpayer subject to the GILTI rules could elect to have their foreign business entity treated as a partnership or a disregarded entity going forward. What’s more, revenue procedures often allow taxpayers to make late entity classifications. This means that, even at this late date, some U.S. taxpayers could elect a new tax treatment for their foreign entities for 2018. Note: We believe the correct revenue procedure to invoke in order to make a late entity classification is Rev. Proc. 2009-41. To convert a foreign corporation to a foreign partnership, you would file a late Form 8832 “entity classification” election. Note: Some foreign limited liability entities cannot elect to be treated as partnerships. Check Treasury Regulation 301.7701-2 if you have questions. Note that the change in status from corporation to partnership would mean that you need to report, in essence, foreign corporation stock being “sold” for a foreign partnership interest. So, a taxable transaction. Further, keep in mind that many small businesses have very modest valuations. A multiple of two or three or four times earnings is common. The upshot for some individuals and small businesses invested in foreign corporations? A change in entity classification may be the cleanest way to avoid GILTI. 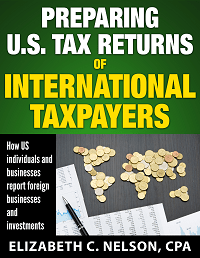 If you’re a tax accountant who needs to learn the Section 965 transition tax stuff in detail, you may be interested in looking at our Preparing International Tax Returns of U.S. Taxpayers monograph. Like our other monographs for CPAs and attorneys, it provides practitioners with a way to get up to speed in few hours—rather than spend days or longer reading the statutes, regulations, and case law. The post Will Your Small Business Owe GILTI Tax? appeared first on forex deposit bonus 2018 Business.